From the day Fortnum & Mason opened its doors to the nation back in 1707, tea has been one of their main concerns and the St James's Restaurant opened just a few years after the British discovered their now beloved cuppa. However, in 2012 the restaurant was given a grand refurbishment and, opened by Her Majesty the Queen, the Duchess of Cornwall and the Duchess of Cambridge, was renamed The Diamond Jubilee Tea Salon. 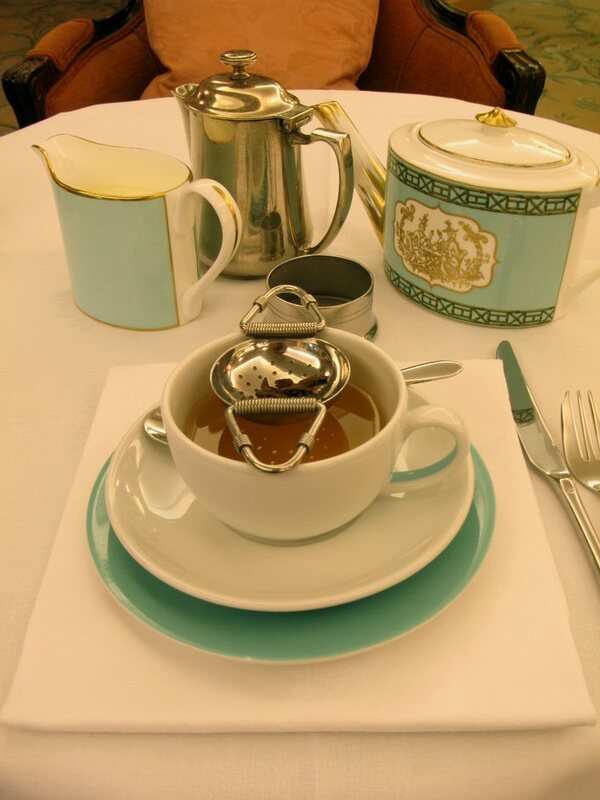 Fortnum's is the original London tea house. The fabulous food hall downstairs stocks over a century of blends sourced from India, Nepal, Japan, Sri Lanka, along with 52 of their own in-house infusions, green teas and all sorts of fruity numbers. Tea tasting really is a fine art and these are the experts with nearly 300 years' experience. The calm atmosphere, pacifying piano and broad view of Piccadilly makes the fourth floor Tea Salon a tranquil haven away from the sea of shoppers outside. The reputation of the food hall precedes it, and the sandwiches and pastries live up to expectations. Choose from a Traditional Tea, a Savoury Tea or the more substantial High Tea. The Diamond Jubilee Tea Salon gyms, sporting activities, health & beauty and fitness. The best pubs near London The Diamond Jubilee Tea Salon. The Diamond Jubilee Tea Salon clubs, bars, cabaret nights, casinos and interesting nightlife. Where to have your meeting, conference, exhibition, private dining or training course near The Diamond Jubilee Tea Salon. From cheap budget places to stay to luxury 5 star hotels see our deals for The Diamond Jubilee Tea Salon hotels, including Cafe Royal Hotel from 97% off.